WATERLOO – Student organization Enactus Laurier is leading celebrations of Global Entrepreneurship Week (GEW) at Wilfrid Laurier University Nov. 17-21. Enactus Laurier is a student-run group that creates extra-curricular opportunities for students to stimulate economic growth, inspire entrepreneurship and raise the standard of living for their local and global communities. In mid-October, the group was selected as one of the top 10 finalists in the “Unleash Your Inner Entrepreneur” educational grant competition, where universities from across Canada submited proposals to celebrate GEW on their campuses. As one of just two Ontario universities in the top 10, Enactus Laurier received a $4,000 grant towards funding its GEW events. "I am incredibly proud of the students involved in Enactus for their dedication to helping to further our brand as a national leader in entrepreneurship programming," said Michéal J. Kelly, dean of the School of Business & Economics. During GEW, Laurier will be one of nine finalists taking part in a competition run by Futurepreneuer – the official host of GEW – to be named Canada’s most entrepreneurial campus.  In addition to commemorating GEW, Laurier will celebrate November as Global Entrepreneurship Month. Laurier has already hosted several events, including a documentary screening, an “Entrepreneurs’ Exchange” networking event at the Communitech Hub and a 24-hour startup contest, which challenged competitors to form a business in a single day. On Thursday, Nov. 20, Laurier will host an event called “Team Up to Innovate,” which will give students and opportunity to see how working in teams can generate innovative solutions. The event will take place at 7 p.m. in the Turret on the Waterloo campus. Laurier is a leader in entrepreneurial education, with ideas around innovation ingrained in traditional curriculum, in addition to the university’s offering of specialized entrepreneurship programs such as the Laurier LaunchPad. Run out of the Communitech Hub in downtown Kitchener, the LaunchPad program is an experiential learning opportunity that enables students to not only receive interactive instruction in entrepreneurial management, but also create their own startup company. A LaunchPad program at Laurier’s Brantford campus will begin in the New Year. First organized in 2007, GEW is an international celebration of the entrepreneurs and innovators who create startups and bring ideas to life. This year, more than 140 countries will take part in GEW, organizing local, national and global activities aimed at helping people explore their potential as innovators and self-starters.